Pain in your mouth or teeth should never be ignored. If you have a dental emergency, such as a toothache or an injury, schedule an emergency dentistry appointment right away. The caring staff at OnCall Dental – Fresno is here 24 hours a day, 7 days a week. The best way to reach us when you need to come in right away is by calling 559-900-2332. 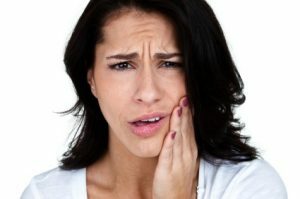 Chronic or severe toothaches can be a sign of a more serious condition. We urge our patients not to ignore ongoing tooth pain. It could mean you have an infection or an abscess, which can be life-threatening if left untreated. Don’t forget to brush and floss even if you experience discomfort while doing so. Schedule an appointment with us right away. A cold compress can help alleviate pain in the meantime. If you’ve had a tooth completely knocked out, call us immediately. If you still have your tooth, put it in a glass of milk to preserve it before you come in for your appointment. The sooner you see us, the greater the likelihood we’ll be able to save your tooth. We accept walk-in appointments but urge you to call us ahead of time anyway. If we can’t restore your original tooth, we’ll also discuss cosmetic dentistry options such as dental implants. At OnCall Dental – Fresno, we’ll take care of all your dental health needs. We also offer a range of restorative and cosmetic dentistry services. Give us a call at 559-900-2332 to schedule an appointment or stop by our office. We’re here for you when it’s most convenient.